There are many ways of planning a kiddie party. While we could not list everything here, it is important to know the basic stuff in order for the event to be successful and memorable to the celebrant and guests. Preparation a week before the party makes a huge difference compared to cramming two to three days before the event comes. The most ideal time to prepare is one to two weeks prior to the date. That duration will allow you to think better as well as have enough time to compare prices of party supplies, buy supplies in advance and make adjustments to the decorations or activities as you see fit. These will let you save a significant amount of cash and lessen the stress that comes along with organizing a party. Make sure that the venue is visually enticing upon entering the place. See to it that the decorations go harmoniously with each other and fit for the theme. Pay special attention to the things that make immediate impact like the colors of the tablecloth, banners, arrangement of furniture, food presentation and cake. Remember that first impressions are important, so pour effort into these. It should be reminded that children are easy to please anyway, so you do not have to stress yourself too much on this matter. You can choose among the celebrant’s favorite cartoon shows or movies and then incorporate the characters into your decors. Having a party does not limit you to shopping in the party supplies section of the store only. There are many ways to make the event enjoyable by exploring other activities that the children will surely love. Examples include setting up an inflatable kiddie pool, organizing coloring activities, coaching kids how to craft, coming up with parlor games, playing ball games, role playing, book reading and many more. A kiddie party will never be complete without the presence of balloons. These are simple and cheap but they never fail to put life into every event. Put some of them in the floor, line up the walls with them or just tie the strings of those helium-inflated types in certain locations. Children can play with them at the party and even take them home after as party favors. You will certainly never go wrong with balloons. If you are expecting to throw parties every now and then, it would be wise to invest in reusable items. Buy reusable cupcake stands, serving trays, banners, plastic figurines, posters, curtains, kiddie chairs, plastic tables and other stuff that you can utilize again in the future. Ensure that the materials are high-quality for you to make the most out of them, and most importantly, the materials used in the mentioned products should be safe for children. What makes a great party? In addition to the amazing venue, delicious foods, chilling beverages and wonderful hosts, music is what makes a party alive. Music might even be the first thing that will come into your mind when preparing a party. 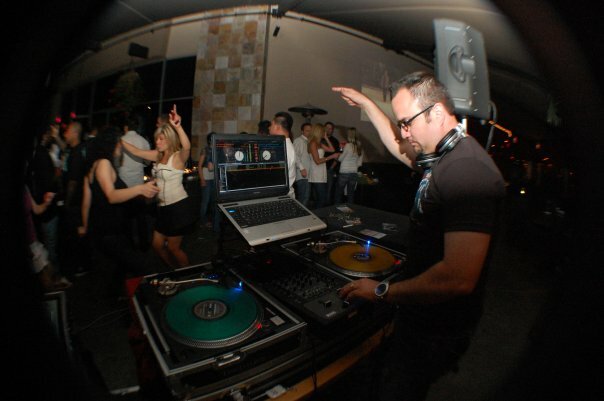 To ensure that you are playing the right music in your party, you should have the right DJ for it. There are several factors that you have to consider when choosing one. So here are quick tips on how to pick a DJ for your party to make sure that all your guests, including you, will have fun. Not all DJs are the same. There are some who specialize only in a certain genre. Then there are those who are more comfortable playing at specific events like weddings, birthdays, club parties, bar mitzvah, church fellowship, and others. For example, club DJs are good at hyping the crowd simply by the music that they play. They don’t need to speak much, but they do know how to keep the crowd moving to their feet. They are ideal in house parties. There are the emcees too who are not just good at picking the right music for the party, but they are also responsible in managing the conduct of its different activities or programs. They are basically good talkers who could deliver speeches when needed. In addition, they are the ones who handle announcements and they serve as the guide of the guests to make the entire event enjoyable for everyone. Another factor that you have to consider when picking a DJ is that person’s reputation. Does the person arrive on time during events? Does he have the kind of personality and skill that the crowd will love? Does he have his own equipment? Is he worth the pay? Evaluate him using the feedbacks of his past clients and those who witnessed him perform before. If feedbacks are not readily available, check his portfolio. See to it that he has a lot of experience in his field. There are exceptional DJs out there who are considered to be the jack of all trades in their field. They could produce great mixes while being an emcee at the same time plus they are ideal for every occasion. One example of an individual who can do just that is DJ C-Zer. This guy has been in the business for 21 years. For one to last that long means he has skills, people love him and he has a good working history. DJ C-zer can be booked simply sending him a message through his website. You do not have to worry about setting up his stuff as he comes well-prepared for every gig. You can check out his pictures using his Instagram profile. A link to it should be available in his website. It is with guys like him where you can definitely get your money’s worth. Planning a Party: Who are You Going to Invite? Now that everything is set, all that’s left are the guests to fill your venue. When inviting guests, it is better not to stick with one circle of friends. Diversify and sort your guest listing. Not only does this make your party alive, it keeps you busy and occupied during the event. You get to see how your two sets of friends mingle together and how their interests align with each other and to yours. A guest will feel good about himself when he goes home having made new acquaintances. With that in mind, who are the ideal guests that should make it to your list and who shouldn’t? Successful parties are the ones where everyone goes home happy and entertained. You have a great venue, an awesome theme, and the food is delicious. But this isn’t enough. Guests that know how to mingle with everyone lights up the entire room. They know how to keep the party alive, and they always have interesting subjects up for conversation. On the other hand, never invite someone with a dull personality. You are not a mean person if you crush them out of your guest list because you’re the host and they should know why no one wants to hang out with them. Not unless if it’s your close friend, your brother, or mother because it’s an obligation to invite them. Remember, never pick too many boring guests because they’re just going to sit the entire evening and won’t participate in any of the activities you prepared. It’s an unwritten rule that friends should be invited at your parties and not to mention keeping your best friends as VIPs. They are the moving decorations of your party as who your friends are reveal a part of you. Your personality and brand radiate through them. Other guests will know a bit about yourself when they look at your friends. They also help you out with planning a party, preparation, and cleaning things up. Basically, they got your back for the whole event. Don’t invite the ones you don’t like or despise you. It’s your night, you deserve a break from all the tension and drama. Be on the look-out because some of them might crash the party and sabotage your hard work and efforts. Don’t worry, they already got what’s coming to them why they didn’t get an invitation. As much as we hate our bosses for terrorizing us, they love to be invited in parties too. This is a good thing though as your boss will get to know more a bit about who you are. And who knows, you might win his favor, and your work load will never be as horrible as it was, And not to mention that promotion. When you risk of inviting your boss, keep your jerky friends out. No exceptions. Their horrible habits and personality might get your boss thinking if you’re the same. Besides that, never invite jerks at all. They tend to ruin everything, they set the conversation sour, and they stir trouble, even if they don’t intend to. These days, people have found more ways to send invitations without exerting too much effort. With the use of the Internet, you can simply compose an e-mail and send it to your friends, or send a group message to everyone you want to be in your party via Facebook messenger. Regardless, the intent of doing so is the same: To get the word out that you’re hosting a party. Invitation cards are a staple for formal events like weddings, anniversaries, and elegant-themed parties. Usually, these are sent online now. Despite that, sending out invites the old-school way never goes out of style. As a host and the party planner, it is your job to make sure your invites are appealing to your guests. What good would your invitation be if you don’t cover the fundamentals? 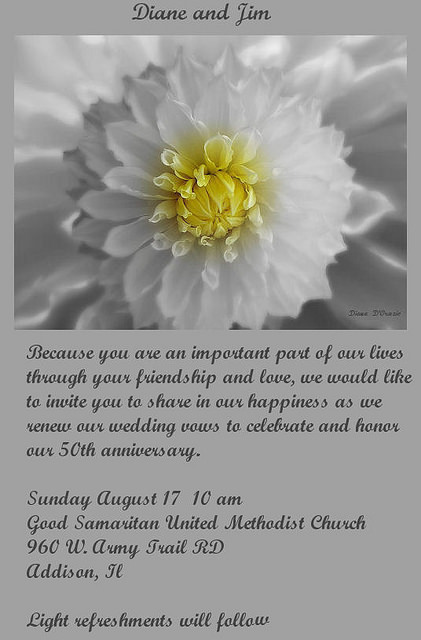 Your invitation should contain the name of the honoree, host, type of party, theme, venue, date, and the dress code. For formal events like weddings, spell out the year instead of the usual Arabic numbers. Such as 29th of June, two-thousand fifteen. This applies to time as well and make sure you use morning, afternoon, or evening instead of A.M. or P.M. Example: Six o’clock in the afternoon. 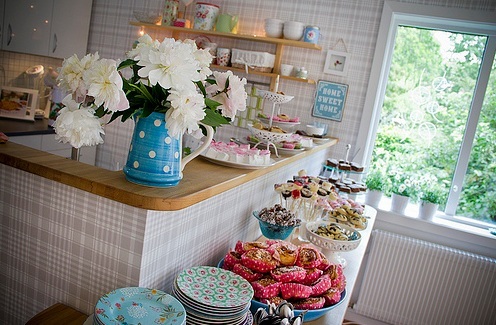 If you are not strict with the number of guests you will be having, one invitation for an entire household is enough. Otherwise, put a “plus one” box for you to know the exact number of people your guests will be tagging along. An invitation that gives you right away the details is bland. Guests should be greeted first with a simple phrase or sentence like “You are cordially invited to the wedding of John Doe and Jane Smith,” or something more interesting. These opening sentences should give your recipients a clear picture of what kind of party it is or what’s the theme. For example, if you’re having a Hawaiian-themed birthday party, your letter should start with “Aloha!” It’s short, it’s direct, and your guests will know right away what kind of party it is. If you want to get the exact number of guests, or you want to have a complete list of friends and family who are sure to attend, provide a contact number. Be sure to state in your invitation that it is the contact number for confirmation. Having an RSVP printed there will encourage your guests to reply to your invitation too. This is very common for formal events wherein the number of guests is limited. It is also effective in keeping out party-crashers. Be sure you inform security in the venue that you’re having a gate pass and give them a sample. You might say a guest list is enough, but this is a creative way to keep the numbers in check. In addition, it will give your guests something to remember by from the event. It could be in the form of bracelets, figurines, glow sticks, and anything creative that is related to your theme. Once you’ve decided a theme, your motif should follow. A motif includes colors and patterns that should be present in your venue. 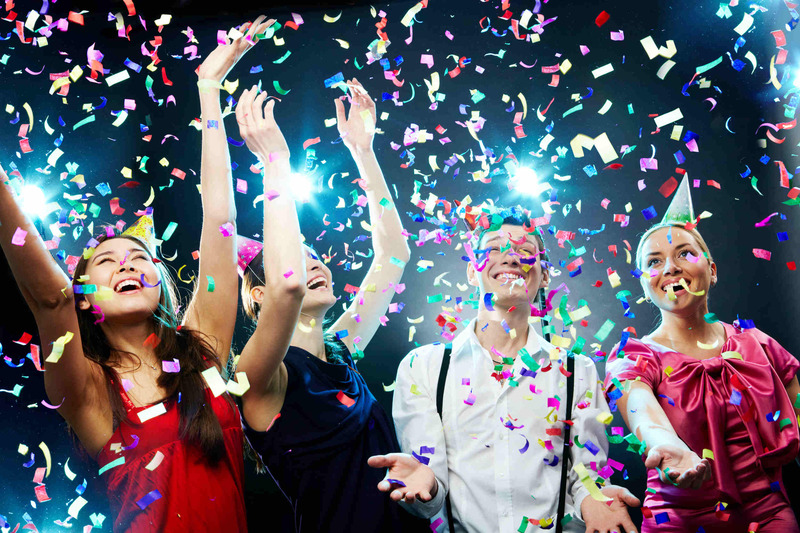 Although to some, it might seem not a big deal, but well-planned parties really show. Your guests will remember anything you decorate in your party. If they like what they see, they will surely come back the next time you plan an event without hesitation, and a good or bad party will always go around town. Colors are a great influence in a person’s mood. 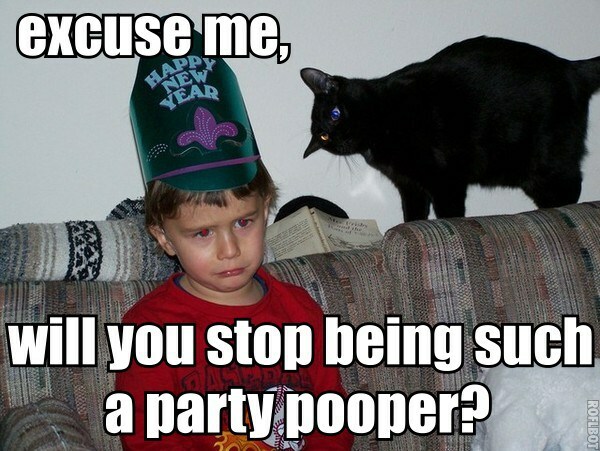 This rule applies to parties as well. For example, if you choose a gothic theme, go for colors that are strong and dark such as red and black. Never opt for something light like white, or yellow as this defeats the purpose of the theme. If you’re going for something elegant and regal, go for colors that denote royalty. Gold, silver, violet, and anything metallic and radiant like jewels fit the description. In a kid’s party, pastel colors work best as it denotes something vibrant, fresh, and young. These are also perky colors, similar to how children should be. One thing to note when it comes to choosing colors to use for parties is to stick to the theme. Imagine a nature-themed party with inorganic and unnatural colors. It will be confusing to your guests as the theme tells a story contradicting to the motif. One good advice is to be as minimalistic as possible. In color picking, don’t even dare to try to put the entire color scheme into one motif. Two is fine, three is better, and four is best. It really depends. Just make sure that it’s not in contrast with each other. You can try three shades of blue cascading to each other. Never pair violet with red, or yellow with blue. Another thing, white and black are neutral colors. It means that they go well with any color. So it’s practically safe to set it as the base color along with other colors that are in harmony with each other. Not everyone is gifted with the art of color combination. So if you’re unsure with yourself, always seek for consultation and ask for suggestions from your friends who you find are good with these. You can also seek a reference through the Internet as this is the most direct and easy way to access the millions of opinions and ideas from people all over. However, if you’re still indecisive with things, you can always contact a professional party-planner or simply a designer as they can help in perceiving your ideas and encapsulating them into colors. Party planning is tough, it’s boring, it requires a lot of effort, and one thing is for sure, it’s not the fun part of throwing a party. When you’re over the “deciding for a theme and motif” phase, your next dilemma would be decorating. And for most people, it is a major problem. Not everyone has an eye for decorating. It is a problem most amateur party planners go through. “How should I decorate my venue in line with the theme?” People are too afraid that they might make the place look like it shouldn’t be that’s why they end up not decorating at all or calling a professional who is somewhat expensive and impractical for most people. 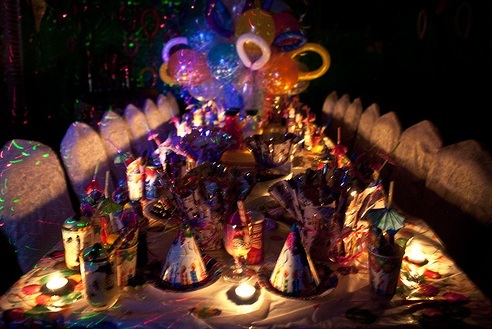 So before you hit that dial pad and waste your money, here are simple and versatile ways about how to decorate a party. It is the stereotype decoration for a birthday party, but little do most people know that it is not only for that specific occasion. This rubberized helium bag comes in a wide variety of colors to cater one’s preference. It is cheap, its stock is an easy access, and it is very dispensable as child guests would love to bring one home. Be it a wedding, or an anniversary, it is never wrong to hang up several of these on walls. It should contain greetings or quotes like “Fifty years strong and counting” or “Hope you blow your cake this year!” These banners not only style your venue but also acts as a display of information because some guests never really know what the party is all about or who the honoree is. One good advice for this decoration is that it should be placed where all the guests are going to have an eye on like near a cake, or where the celebrants are going to sit. It just brings out the festive and merry vibe on your party. When buntings are mentioned, fiestas are thought of but no, it doesn’t have to be that case. You could have buntings made of flowers for formal events or a birthday party for a teenage girl, it really is up to you. This decoration can spread through the entire ceiling, walls, and garden. It points guests to where the really fun things happen too. Who says they are only for formal events? Not everyone considers the skirting of a table cloth as an eye candy, but everyone sure does notice a blank and naked table. It requires a lot of time, patience, and skill but the effects are all worth it. It’s good for birthdays, weddings, and costume parties, just about anything. It will only vary on the skirting style, the color and quality of the cloth used. And make sure the colors and patterns coincide with the theme and motif. However, in most cases, this is not an issue because table skirting blends with almost any theme. If you can’t afford an ice sculpture, these will work the same way. Place it on a table somewhere where everyone can see it and be sure to arrange it in stacks. It is a great idea to have these on an event as guests tend to appreciate bringing home a memorabilia from the party as well.